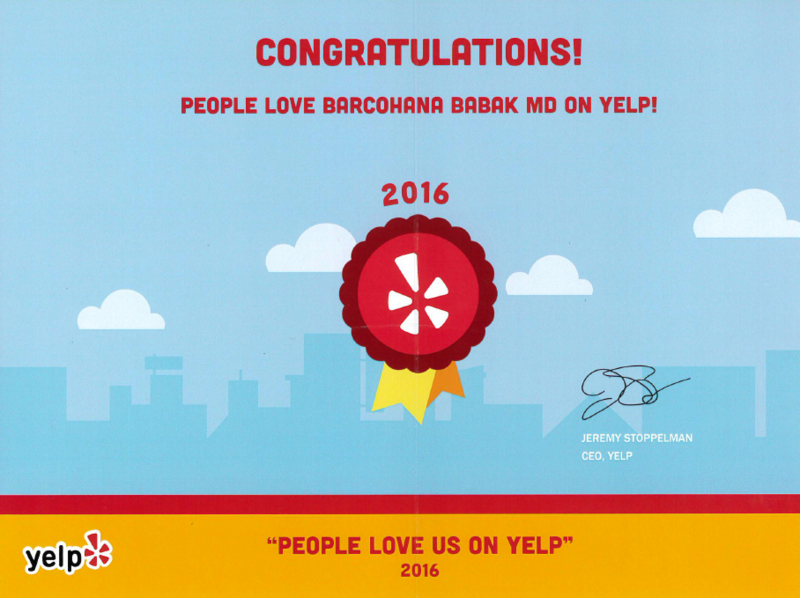 Our very own Dr. Babak Barcohana was recently awarded a “People Love Us On Yelp” Award for 2016! The “People Love Us On Yelp” is an award in which Yelp selectively recognizes businesses and doctors that meet certain criteria. This is an award of recognition for outstanding performance that cannot be requested; it must be earned. Join us in congratulating Dr. Barcohana on this great achievement!